You need to have a Transfer Station Sticker issued by the Town of Greenville to access the Transfer Station. The stickers are good from January 1 – December 31. Your first Transfer Station sticker for the year is FREE any one after that is $25.00. If you change your plate, please be sure to notify the Town Office so the appropriate change can be made to your Transfer Station sticker application. 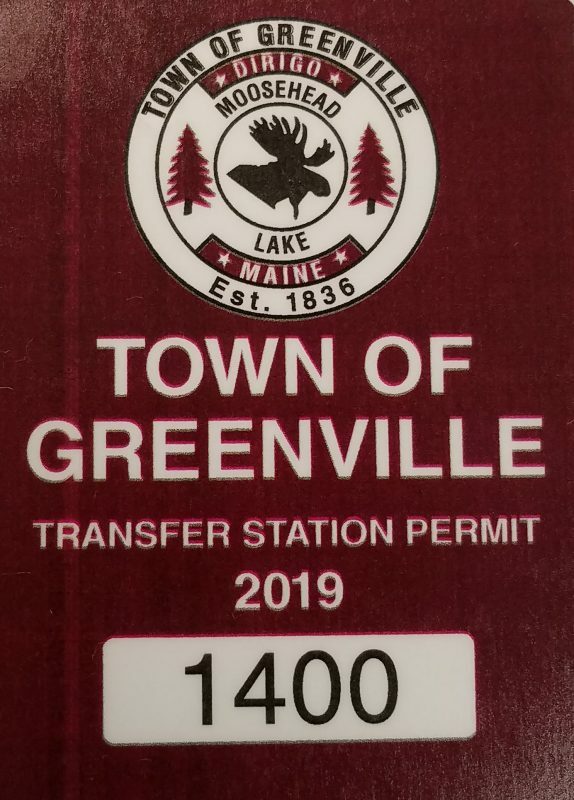 If you purchase a new vehicle or get a new windshield you may peel the current Transfer Station sticker off and bring it into the Greenville Town Office and receive a FREE replacement sticker. Curbside Rubbish Pickup for Greenville Residents is collected every Monday after 8:00 AM. Rubbish must be in a covered container and put out for pickup by 8am.